HIS name shines on the horizon of Madinah. He was the first who offered full hospitality to Holy Prophet (peace and mercy of Allah be upon him) when he arrived in Madinah. Later he proved that he was not only an extraordinary host and a warrior, but also Katib-e-Wahi, a Hafiz Qur’an and a Faqih whose fatwas were trusted. Abu Ayub Ansari also served as imam of the Prophet’s Mosque during the Caliphate of Uthman bin Affan. He took part in all the famous battles including Badr, Ohud, Khandaq, Hunain, Khayber and Tabuk. Abu Ayub Ansari belonged to Bani Najjar tribe. It was not a new relationship for the Holy Prophet (pbuh). His great-grandfather Hashem married a lady named Salma from Banu Najjar of Madinah, later he went to Shaam for trading and died at Ghazza and was buried there. Salma gave birth to a boy. Later when Thabet bin Manzar (father of Hassan bin Thabet) visited Makkah he informed Muttaleb about his brother Hashim’s marriage in Madinah and the birth of a boy. Muttaleb visited Madinah and brought his nephew. This boy was named Abdul Muttaleb, later to become the grandfather of the Prophet (peace be upon him). When the Prophet (peace be upon him) migrated to Madinah the whole city erupted in jubilation with young boys and girls welcoming the Prophet (peace be upon him) with noble songs. The residents stood on the way asking the Prophet to stay with them. The Prophet said, “I will stay at the place where my camel sits.” The camel moved for a while and sat at an open place. He asked whose house is nearby. Abu Ayub Ansari burst with joy and said: “This is my house, this is my house, I am here to serve you.” Asad bin Zararah took the camel to his house. The Prophet (peace be upon him) stayed at Abu Ayub’s house for about seven months until the Prophet’s Mosque was built on the open space where his camel had stopped. 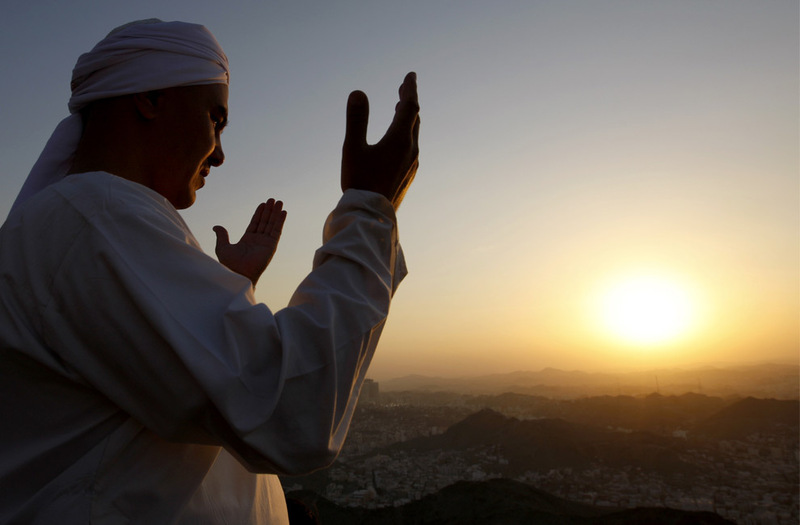 Thus Abu Ayub became the Prophet’s closest neighbor who always served him during his life. This house was later known as “Maktaba Aarif Hikmat Bey” about 10 meters from the present Bab Baqie of the Prophet’s Mosque. Abu Ayub devoted his life and property for the sake of Islam and participated in most of the campaigns during and after the life of the Holy Prophet (peace be upon him). He was born in around 590 AD. He had three sons — Khalid, Ayub and Mohammed and a daughter named Umrah. Their descendants are found in Egypt, India, Pakistan and Turkey. Then he breathed his last. The Muslim army fulfilled the desire of the companion of the Messenger of God. They pushed back the enemy’s forces in attack after attack until they reached the walls of Constantinople. There they buried him. Later, Ottoman Caliphs built nice tomb and a mosque. The locality is now called Ayub Sultan on the European part of Istanbul. Besides the grave of Abu Ayub Ansari there are 28 more companions buried in Turkey who laid their lives for the sake of Islam on this land. Ayub Sultan has become a sacred locality and many Ottoman caliphs were crowned at this place and later many nobles were buried near him.